Despite the efforts of the Los Angeles Police Department, it’s possible that skyrocketing rents will be what drives gang violence from the city limits. 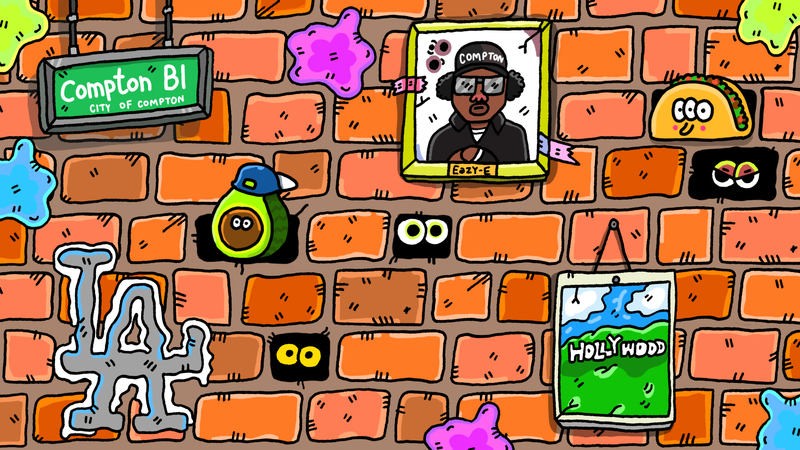 LA’s in the midst of a rap renaissance, simultaneously formalist and progressive: many of 1990’s G-funk tropes are still popular, but the sounds and slang are different. Still, gangster rap is only part of Los Angeles’ rich musical tapestry. It’s the westernmost edge of Western Civilization, where people come looking for fame and indulgence and, more often than not, return defeated and degraded to their landlocked burgs. Strains of severe weirdness remain–and the city’s history of jazz experimentation has been, through a few Leimert Park venues, funneled into rap. It remains that the only thing that can kill gangster rap in Los Angeles is gentrification. 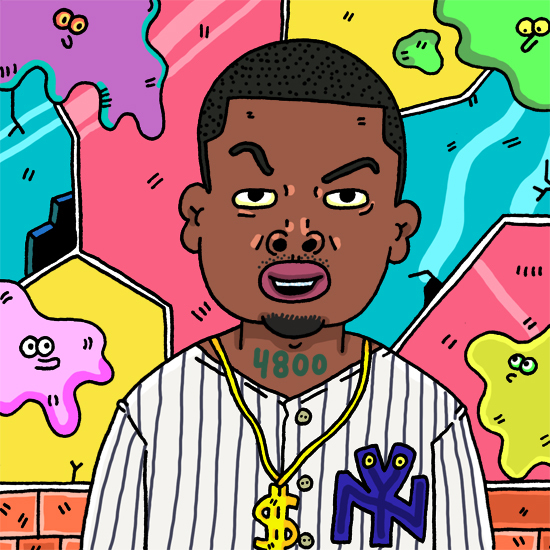 You’ve heard TeeCee4800 before. You heard him on YG’s “Meet The Flockers” (he’d like to enlighten you about the history of “the flock”), or maybe you heard him on his cousin Ty Dolla $ign’s “Only Right,” or on DJ Mustard’s 10 Summers, or, if you’re truly an obsessive, the original version of “Toot It and Boot It.” The Mid-City native has an easygoing flow and an understated sense of humor–essential qualities for an LA gangster-rapper–and his barely-there rasp is immediately recognizable. After a half-decade of local notoriety and marginal mainstream recognition, TeeCee could be poised to capitalize on the rebirth of Los Angeles gangster rap. AD raps like he’s threatening the microphone for its lunch money. AD raps like he’s been told he absolutely, positively has to drive from West LA to East LA at 5 PM. AD raps like he just stepped on two Legos. This is to say that AD raps angrily, perhaps more consistently angrily than any other Angeleno ever has. G-funk’s sense of snarling indignation has found itself reborn in AD, except louder and more aggressive. His mixtape with Sorry Jaynari, By The Way, is the most abrasive, ornery fringe of Los Angeles gangster rap. For a few years in the late 2000’s, Jerk music ruled Los Angeles high schools. Kids in tight, technicolor jeans and checkered Vans recorded lewd raps over simple, danceable beats, and, for the briefest moment, the music industry took notice. 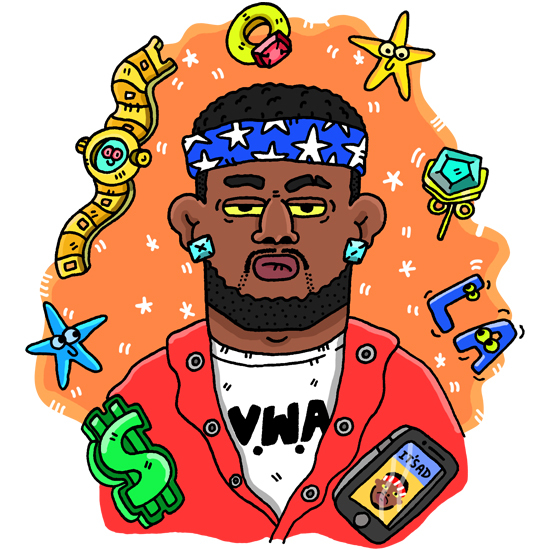 When the scene died, so too did major labels’ interest in releasing Jerk music. But when the A&R’s moved on, many of the principal figures kept rapping and producing. 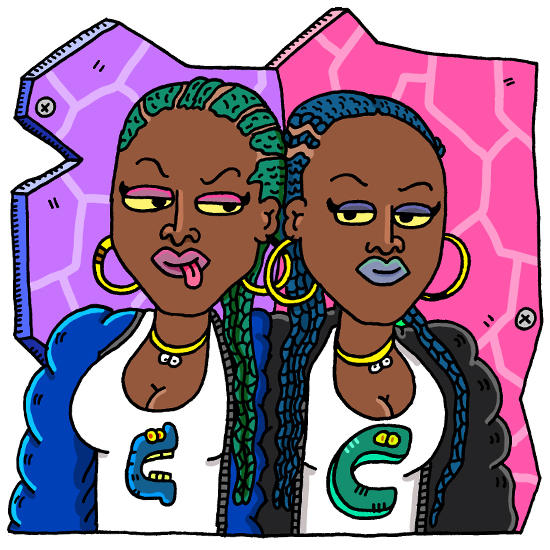 Cam & China, a set of twins formerly of scene stars Pink Dollaz, survived the fallout and emerged more polished, focused rappers. Personally, Cam identifies as motherly, China as chilled out. Musically, they’re vicious, sharp-tongued, and often indistinguishable from each other. LA rap hasn’t had a head of hair this great since the days of Eazy-E, BG Knocc Out, and DJ Quik. Were a considerable ‘do G Perico’s sole asset he wouldn’t be on this list, but his recent full-length (with a title unprintable on Green Label) is one of 2016’s very best rap albums and one of its biggest surprises. Compared to YG, whose Still Brazy was widely anticipated, G Perico’s G-funk triumph seems to have emerged unexpected from a thick cloud of blue smoke. 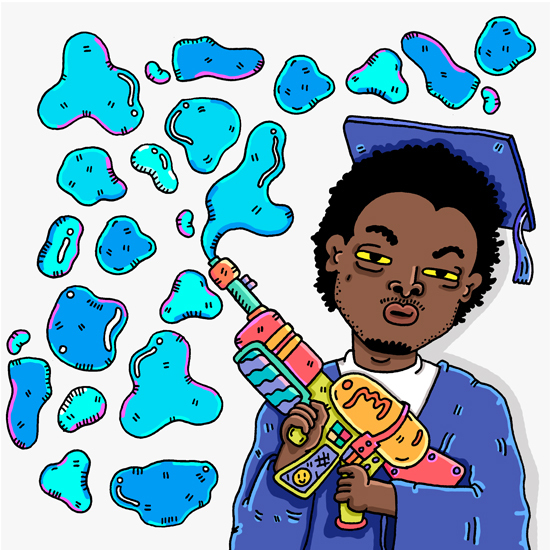 The coiffured South LA rapper has two important gifts: an ability to craft catchy choruses and the sense to counterpoint intimate details of growing up around gang life with comedic observations. Natia the God’s full, given name is Natia Happy Maluia. No one names their son “Happy” ironically. 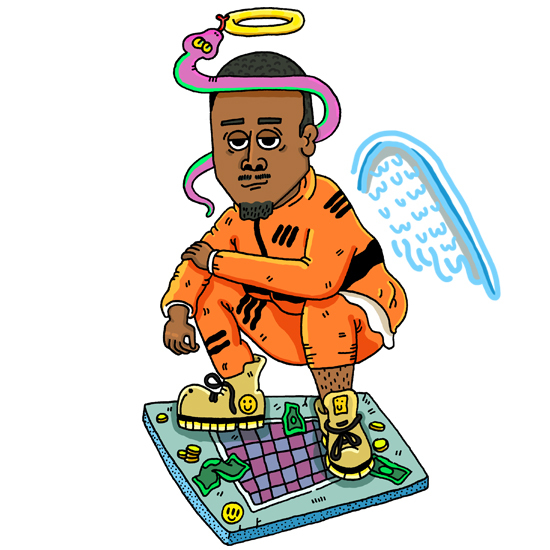 But much of the Inglewood rapper’s music is melancholic, his self-aggrandizement descending into self-destruction without warning. These aren’t shenanigans–Natia’s lived hard, and lyrics that would initially sound like over-exaggerations seem on second and third listens uncomfortably close to the truth. He’s careening and smoldering, engaging and horrifying.